One of the most sought-after sopranos in Europe, Judith Howarth has consolidated a strong public following and critical appraisal for her work. She first came to public attention when she joined the Royal Opera House, Covent Garden as a Principal. During nine seasons there she sang many roles including Oscar Un Ballo in Maschera, Musetta La Bohème, Liu Turandot, Gilda Rigoletto, Morgana Alcina, Norina Don Pasquale, Cressida Troilus and Cressida and Marguerite Les Huguenots. Subsequent engagements worldwide include Ellen Orford Peter Grimes in Oviedo, Toulouse and Santiago de Chile, Christine Intermezzo in Santa Fe and all four soprano roles in Les Contes d’Hoffmann for Florida Grand Opera, Violetta La Traviata for the Minnesota Opera, ENO and Glyndebourne and Liu at the Staatsoper, Berlin, Marie La fille du régiment in Geneva and Madame Mao Nixon in China for ENO. 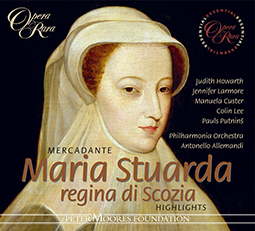 Further engagements have included title role in Madama Butterflyin Helsinki and title role Maria Stuarda in Minnesota. 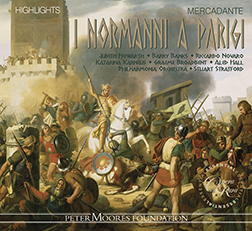 Recordings include Berta in Mercadante’s I Normanni A Parigi with Philharmonia Orchestra and the title role in Mercadante’s Maria Stuarda, Regina di Scozia for Opera Rara.